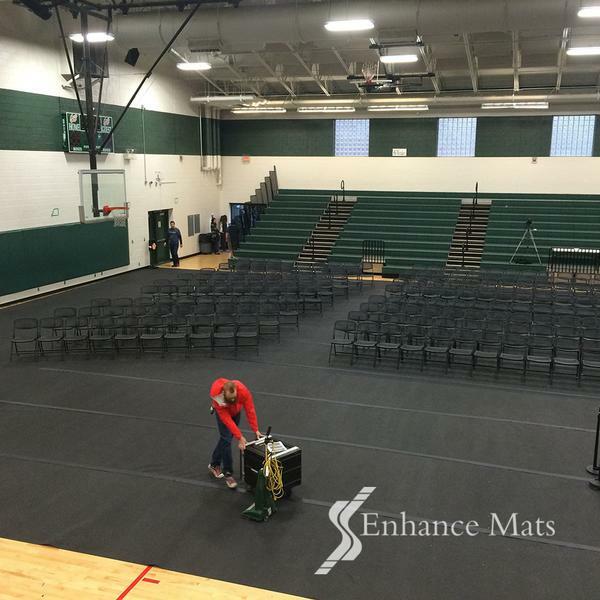 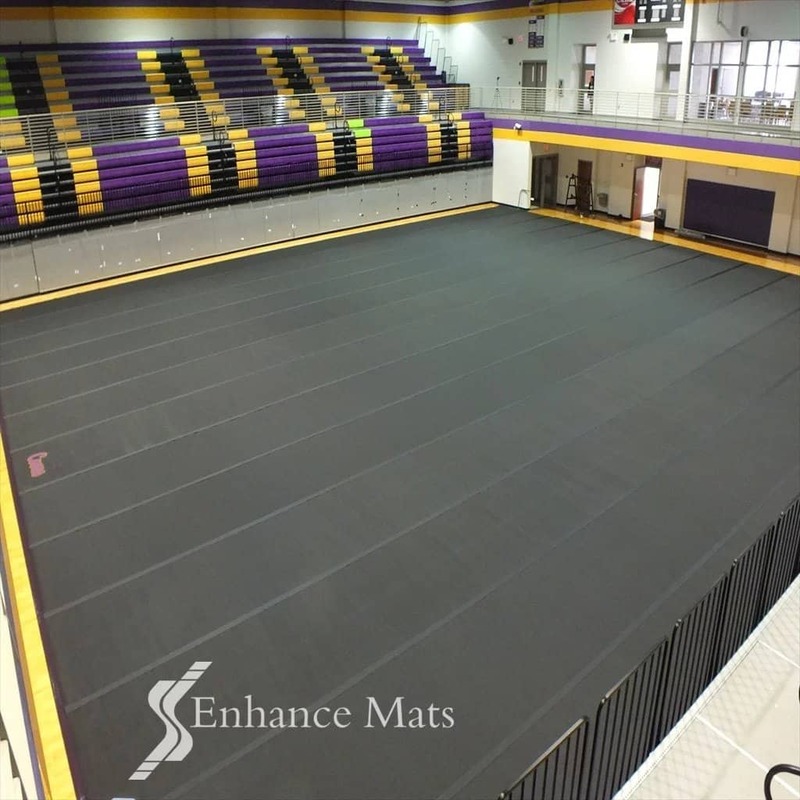 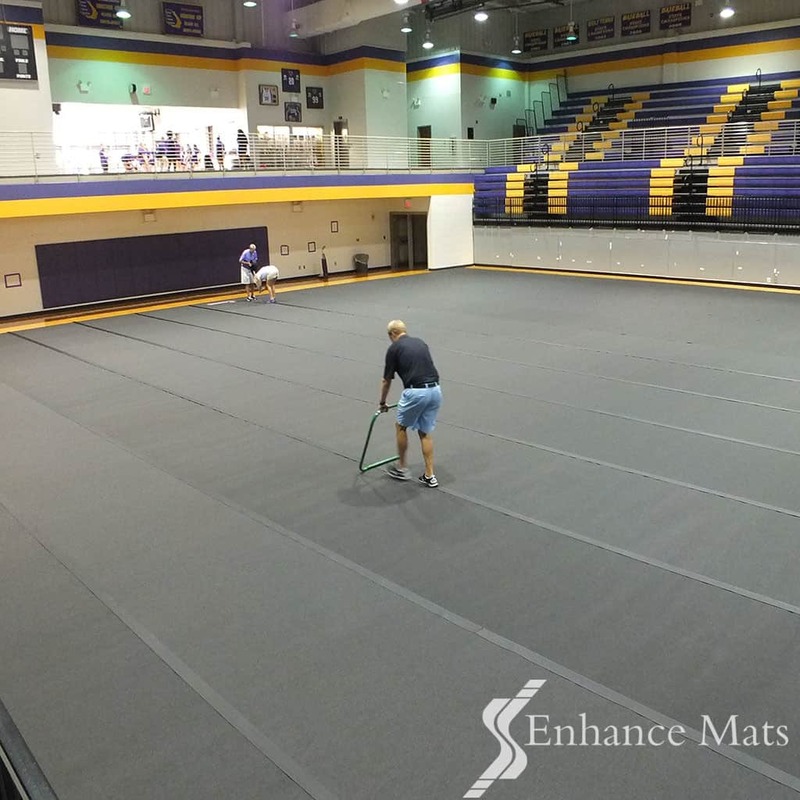 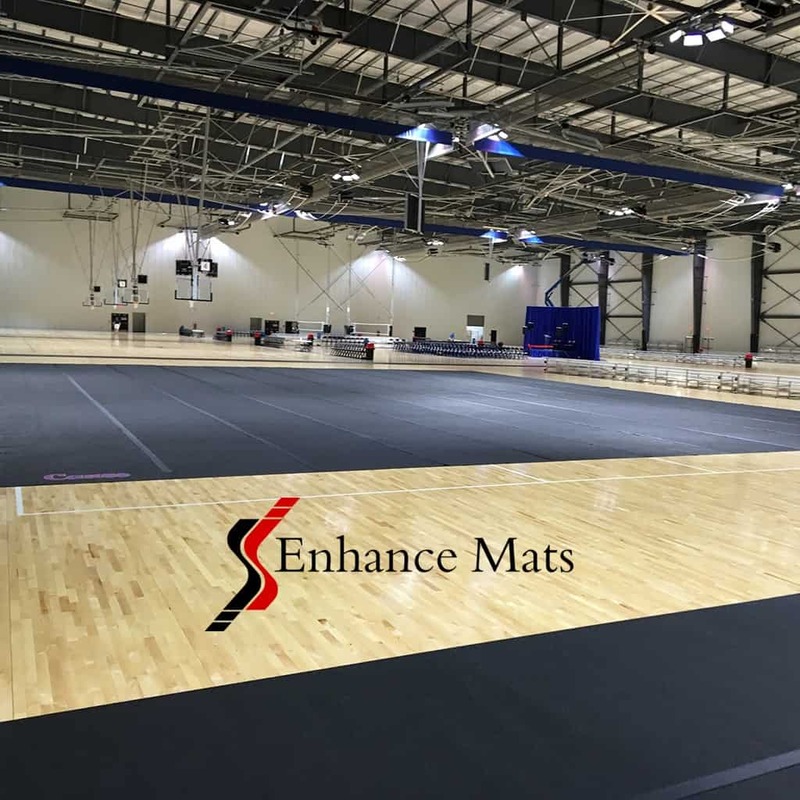 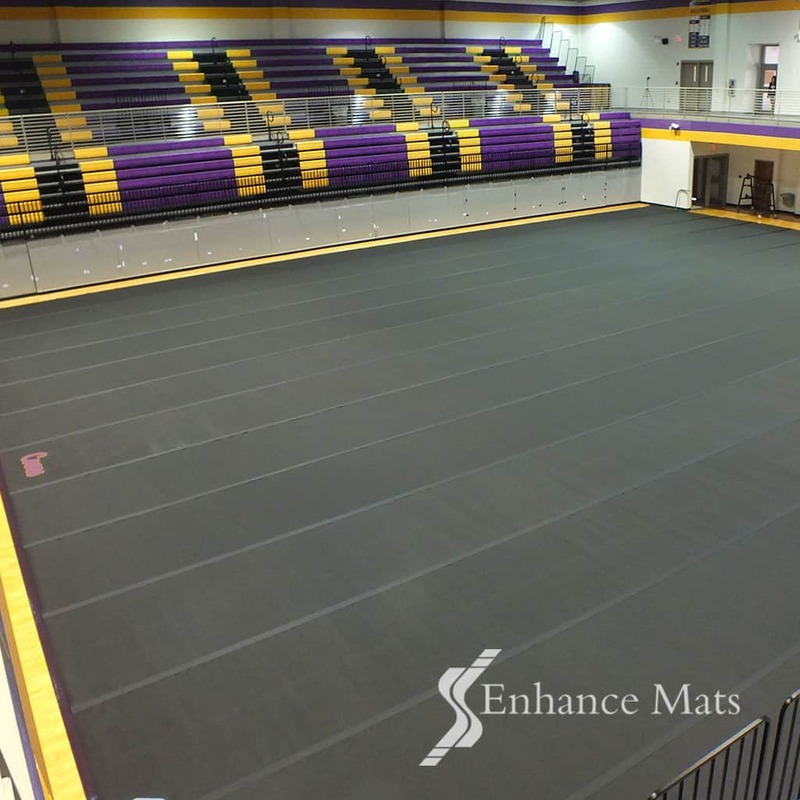 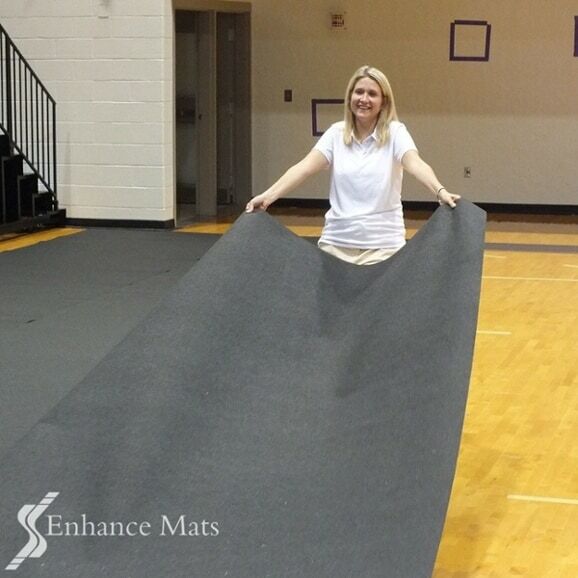 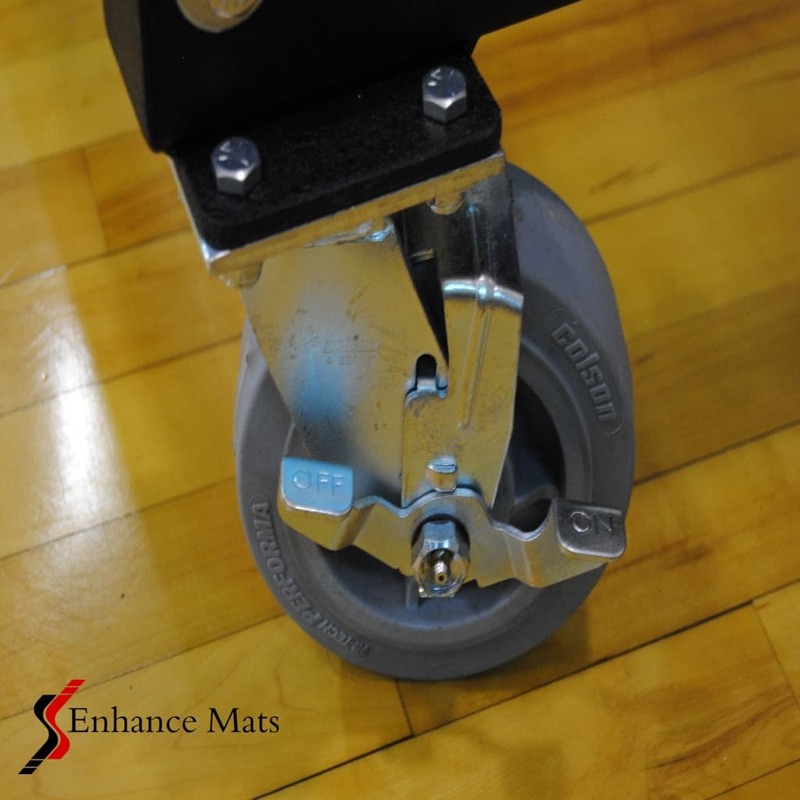 GYMPRO ECO ROLL is the new era of gym floor protection. 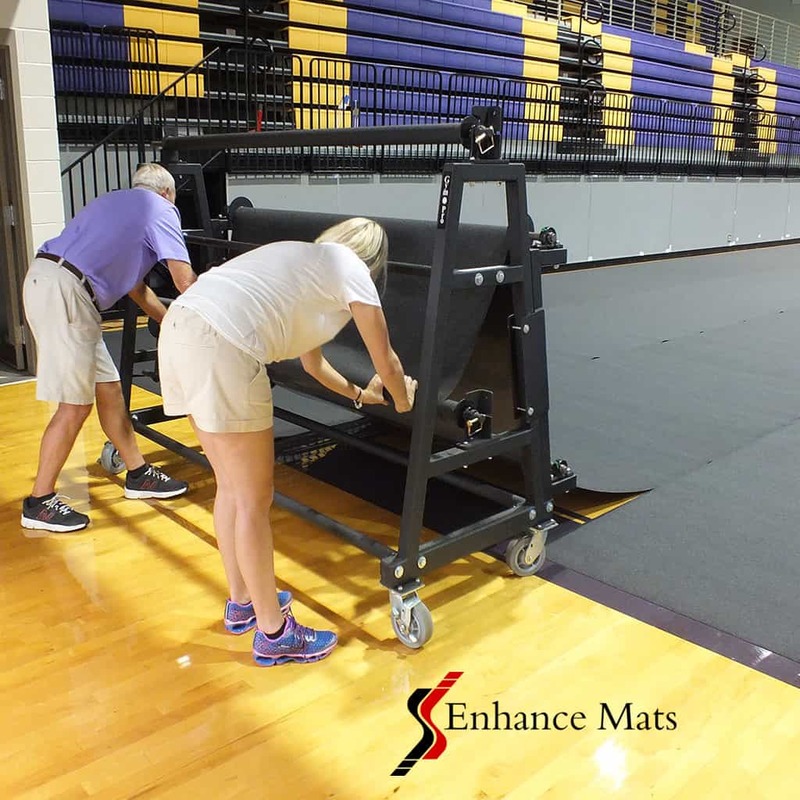 No longer do you have to settle for heavy, unatractive and time consuming vinyl systems that require excessive storage space for the large and cumbersome storage racks . 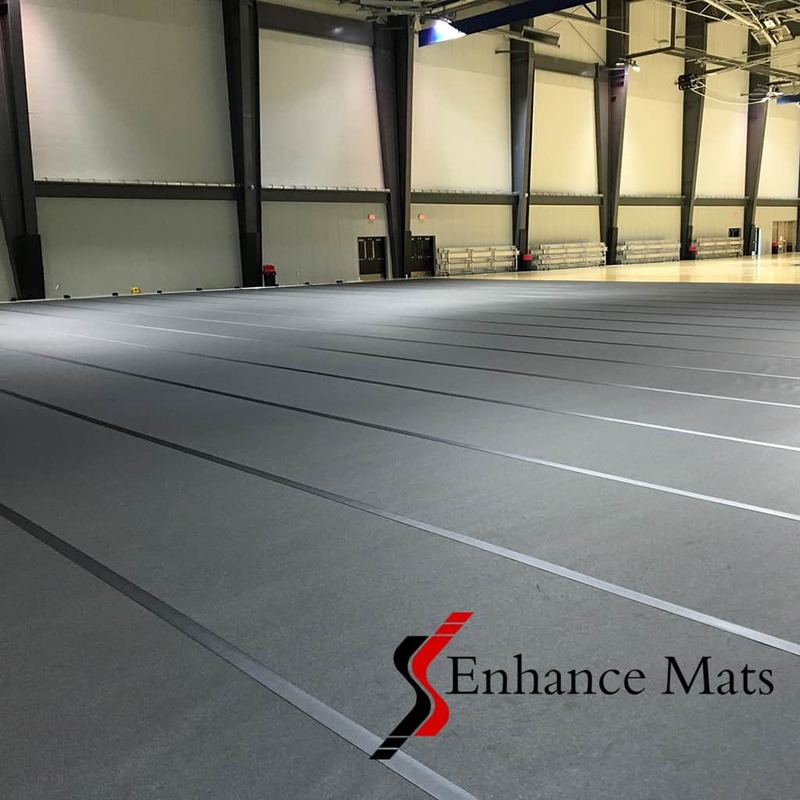 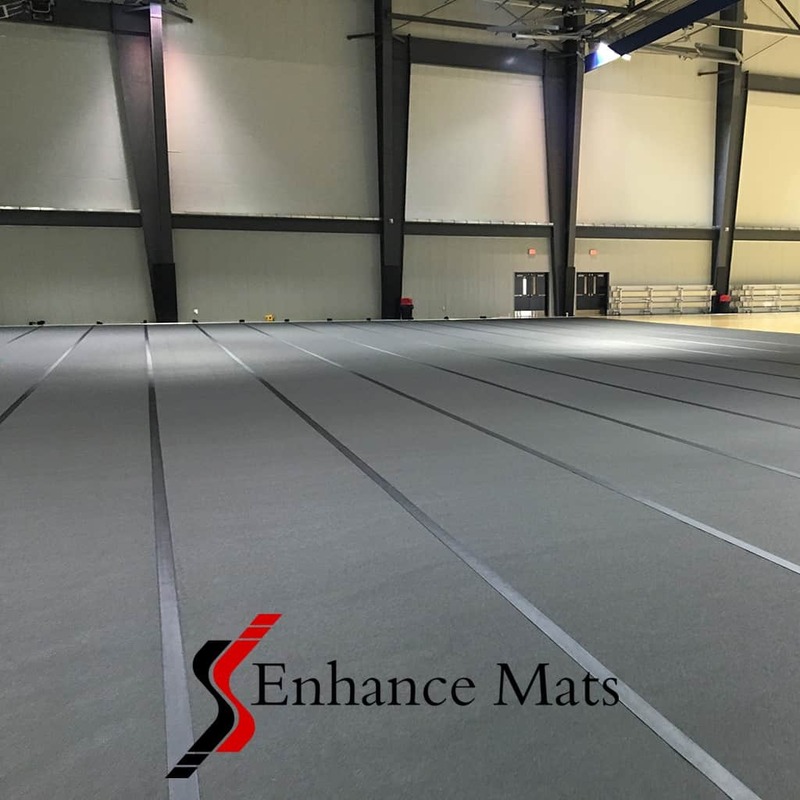 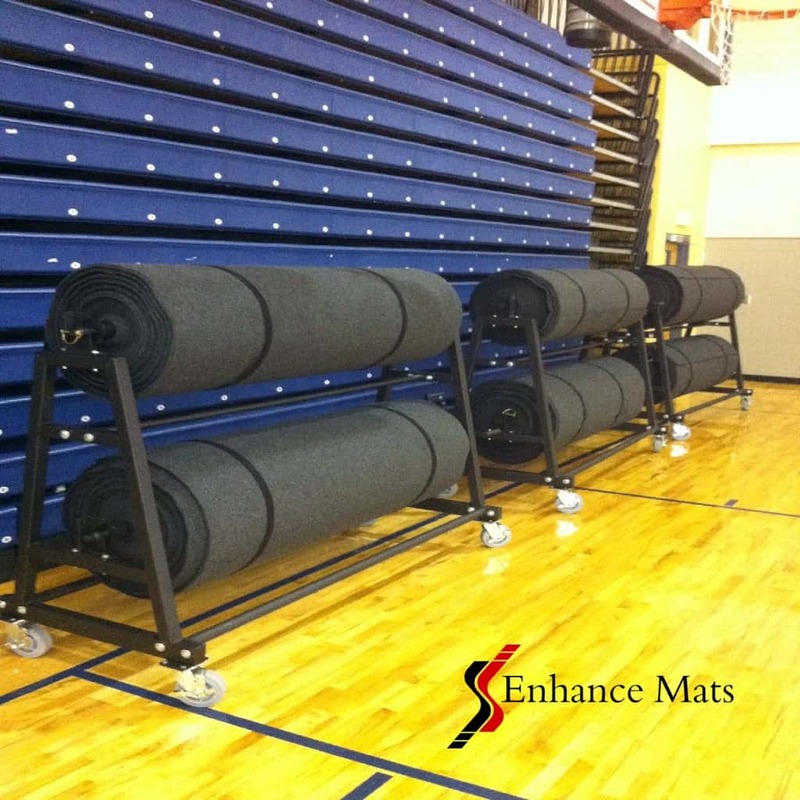 Our New gym flooring rolls are economical, quick and easy to install, take up, and best of all easy to store. 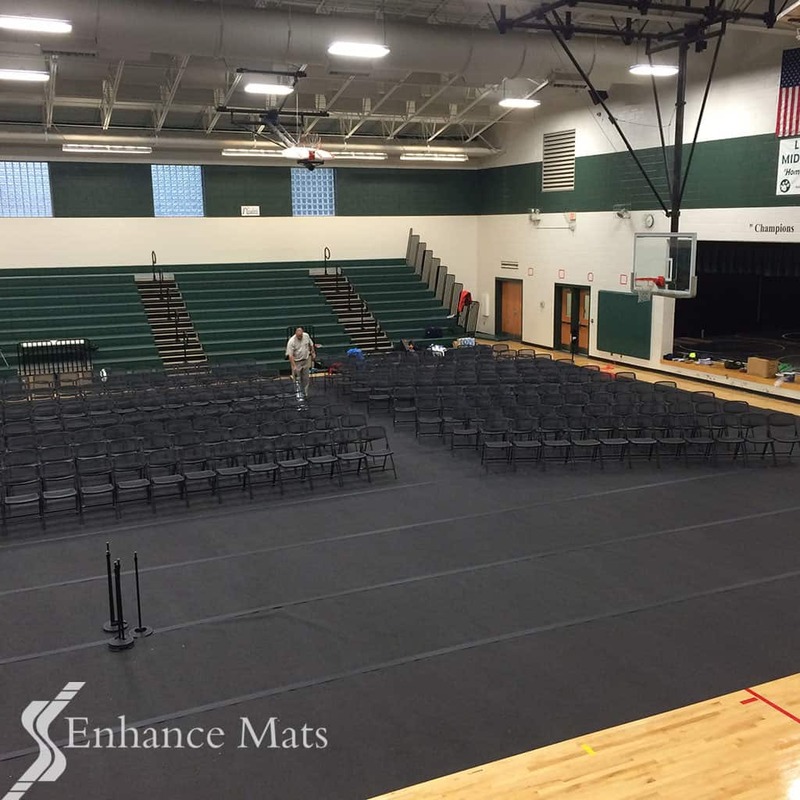 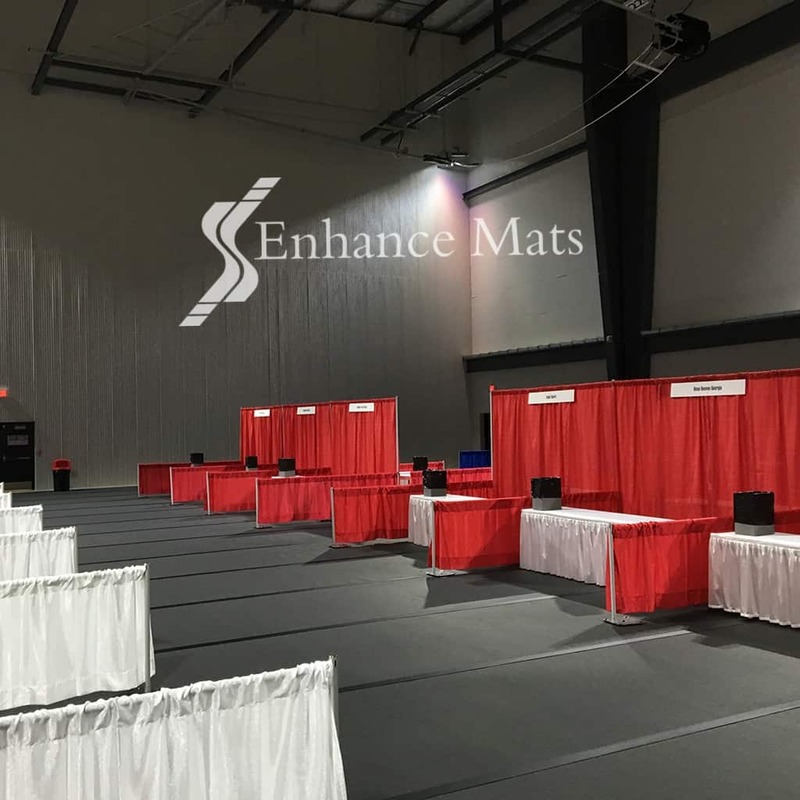 Stain and tear resistant, the Eco Roll has a carpet top cloth that provides noise dampening with an attractive appearance for any special event. 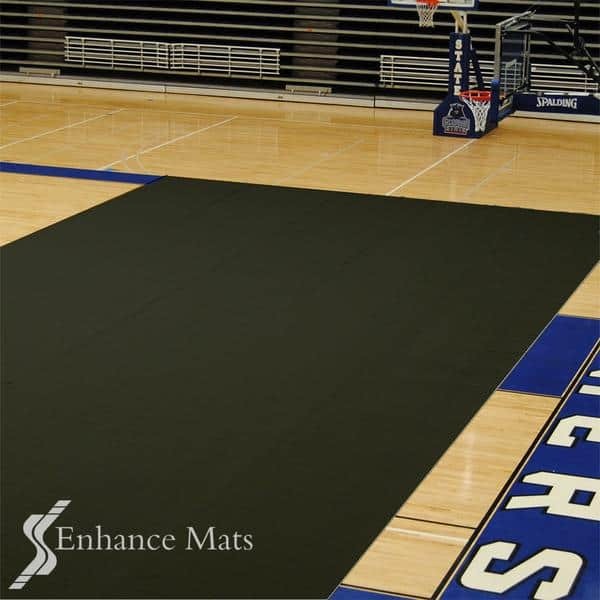 The moisture wicking top cloth wicks any spills, preventing slip and fall accidents while the slip resistant backing safely keeps any spills from damaging your floors. 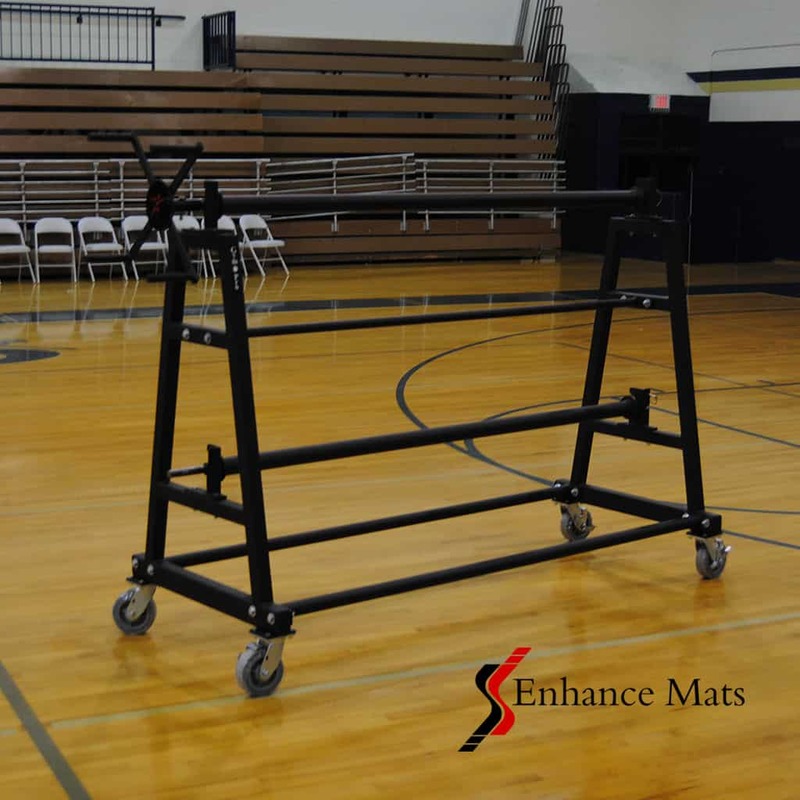 Quick and easy storage on compact racks that require half the space of the larger vinyl storage racks, are easy to transport and hold 6500 sq. 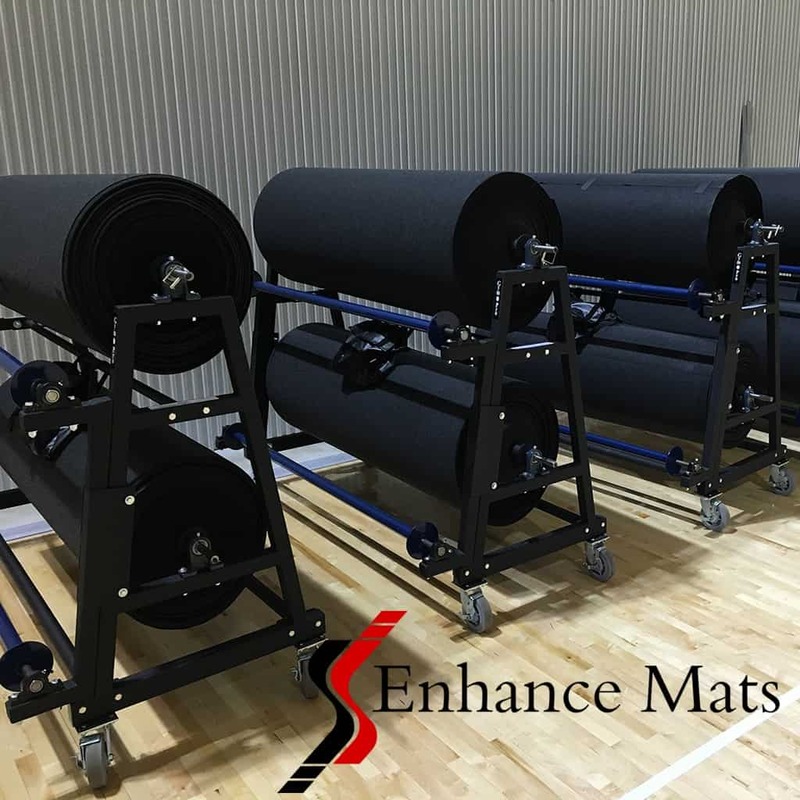 ft per rack. 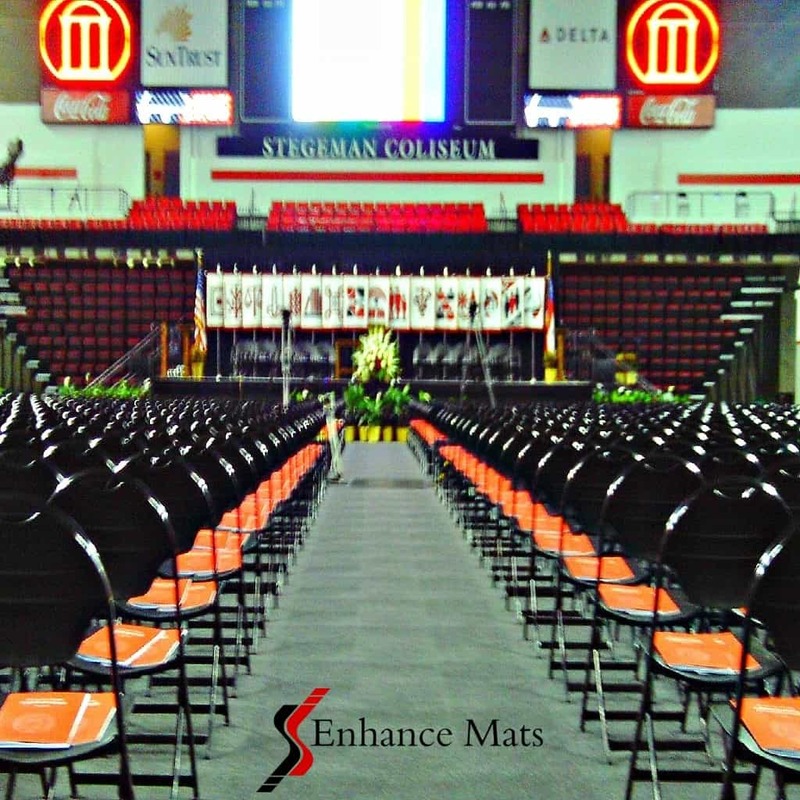 Great gym floor protection for special events, commencements, banquets, trade shows, church services, graduations.